Gorgeous, gorgeous, gorgeous. Thanks for sharing, and all best wishes as you continue to hunker down and finish book three! Absolutely gorgeous! 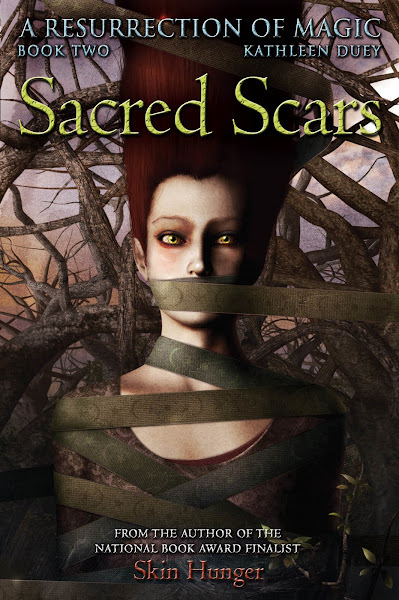 Beautiful covers and wonderfully targeted marketing there, too! Nice going. I am really thrilled with these Sandara Tang covers. I loved the original ones, too, by Omar Rayyan. Hard to believe they have been in print for almost ten years. To tell the truth, I actually like the older covers better, because they are more mysterious and the drawings are how I imagine Heart to look like. But that's just my opinion. The new illustrations are pretty cool too. I need to tell you that I absolutely LOVE your series. 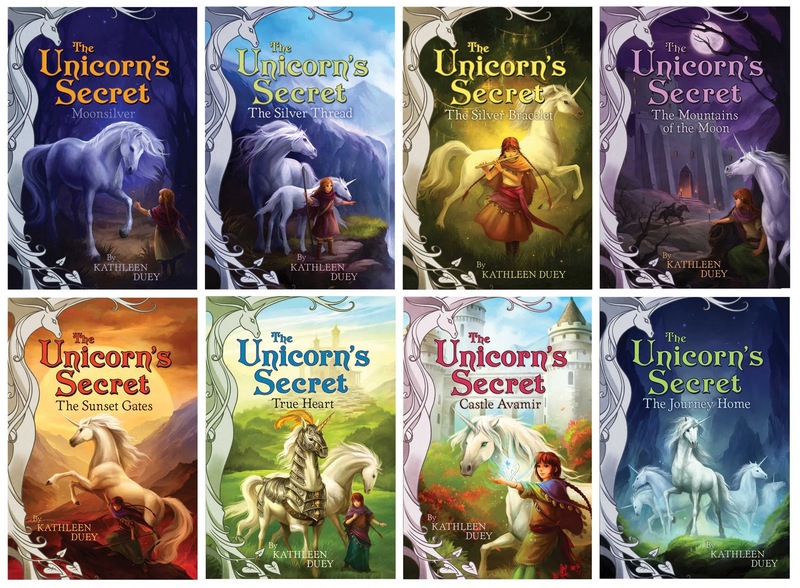 There could not possibly be anyone else who could have enjoyed your Unicorn's Secret series as much as I did. When I was eight I read all of them except the last book. For some reason, it was never in the library catalogue. Every time I came to the library I'd check, hoping against hope that I'd find the final book. I kept looking for years but eventually I gave up. But FIVE years later, in different library, I happened to stumble across it. Now the books are harder to find in the library, so I want to buy the entire series so that I can read it over and over and over again, like I used to. By the way, the fact that you dreamed about the land in the series is really cool to me, because I dreamed about it too when I was seven. I kept dreaming about a huge, magnificent mountain that was a place of peace and beauty-and mystery. When Heart climbs that mountain that Castle Avamir was on, it seemed to be the very same one from my dream. I am in fifth grade and I still love your Unicorn's Secret series. It makes me feel as if I am a little girl again. It also makes me OBSESSED with unicorns. My mom read them to me when I was really young, but I love them anyway. It's a story with wonderfully developed characters. My mom loves them too. I wish to become a writer too. I would love to meet you. It would be really nice if you wrote back.